A friend of mine was visiting and as I was showing him the faux No4 T I commented that I am a little jealous of those who own an original because there is no history to mine. He looked perturbed at that comment. He asked me what I did to this rifle and how long did it take to come to fruition. I gave him the rundown on it. He asked if all the stampings were correct for the rifle. All except for my initials stamped under the trigger guard. His next reply brought a smile to my face. "Mike,this rifle has alot of history that will follow with it beyond your time with it. Lorelei knows who put this together past what the factory did and she watched you do it. That's where the history of this rifle starts,with her and knowing her dad made the rifle into what it is today. You have produced one of the finest examples of a exact copy of the original. Do not be jealous of what you do not have. Let the owners of the originals be jealous of what they do not have,yours. Your kid will eventually part ways with it but she will let the next custodian know without question that her dad made this. This rifle is making it's own history because of what you did". I always ask the HC/PC crowd when the cutoff date for history is. My No4 Mk2 was a mummy in limbo for 50 years, that was also a part of its history. A very nice, very true statement. Well said, indeed. 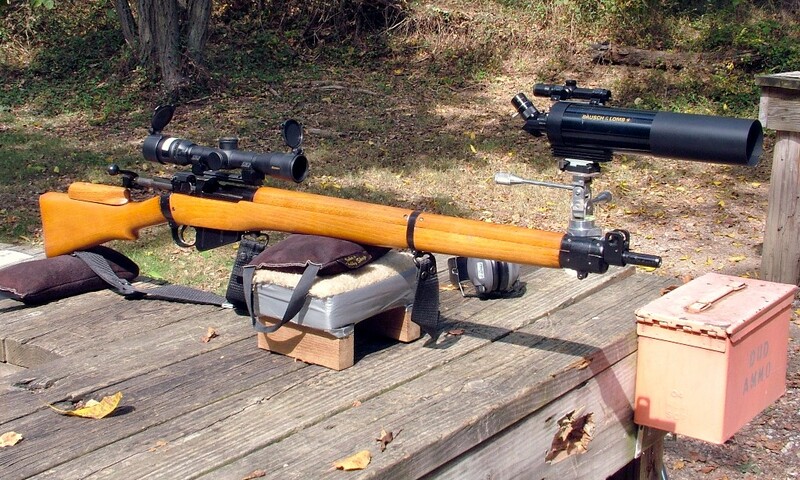 And the rifle looks great.